People swear by setting powder to lock their makeup look into place, but sometimes it comes up short. After all, a traditional application of setting powder with a powder brush usually means all that powder just sits on top of your skin. If only there was a way to really make sure the setting powder clings to your makeup and settles into your skin. Actually, there is, and it's a new favorite beauty hack. Watch this short video to learn how to set makeup with a professional finish. All you need is some water, a beauty blender and setting powder. 1. Tap out some setting powder into the upturned lid. Don't be afraid to tap out a generous amount. 2. Dip the beauty blender into the bowl of water. Make sure you submerge it or otherwise get the entire surface wet. 3. Wring out the beauty blender extremely well so it's just damp and not soaking wet. You can use a towel to help with this. 4. 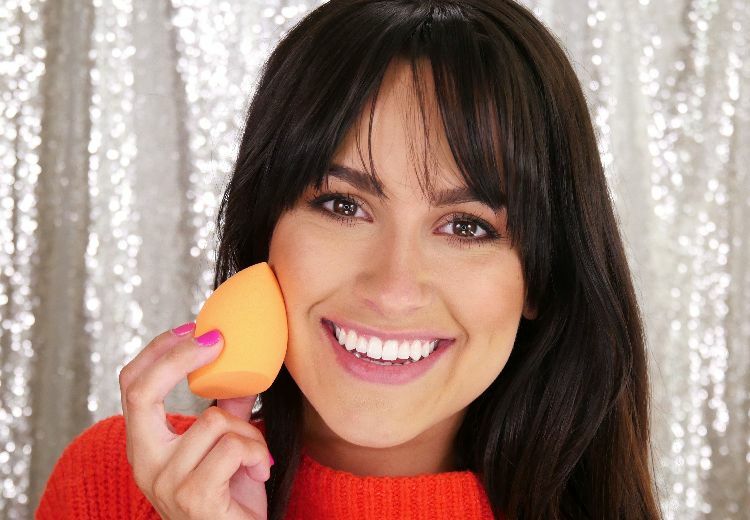 Pick up the setting powder with the damp beauty blender and begin to apply the product to your face. You'll immediately notice that it clings to the applied makeup extremely well. Now you're all set – literally. Using this method, your makeup will be set for even longer and resist that pesky oily sheen that rises as the hours go by. To look your best on your daughter's big day, try this naturally beautiful makeup combination.